A virus that adds its code to the macros associated with spreadsheets, documents, and other data files in a system is called as a macro virus. Any computer infected by macro virus needs an antivirus program to remove it from all its hiding places. A macro virus is designed to cause significant harm to a computer, thereby, it is essential to have a virus protection program in place to steer clear of macro virus attacks. Initially, ‘Concept’ was the term used to address the first macro virus, it first surfaced in July 1995. Back then, the macro virus was infecting Word documents and went on to terrorize the users during its reign. In other words, the macro virus became the dominant type of virus until the turn of the century. Windows Office 2000 version dealt with the macro virus issue by disabling macros by default in the Office. With this move of Microsoft, online fraudsters were left with no option but to look at other ways to trick their victims into enabling macros. Macro viruses are built into sophisticated applications and embedded in documents or inserted as malicious code into word-processing programs. Mostly, they come as documents fastened to emails, or the code may be downloaded after clicking on “phishing” links in banner ads or URLs – besides, networks, and disks are also some of the means. Security experts compare them to Trojan virus because it might appear benign and users may not instantly identify any ill effects. On the other hand, the macro virus is hard to detect, as they do not operate until an infected macro is run. Macro viruses have the ability to replicate themselves and infect other computers. Macro viruses are found in many different forms. Even though few security experts look upon them as remnants of the late 1990s terror, it is widely accepted that they have made a comeback in the recent years, pushing users to be more careful. As mentioned above, Concept was the first macro virus that appeared in the year 1995. Its primary target was Microsoft’s Word. It went on to haunt many systems until the perfect cure was implemented in Office 2000. Yet another infamous macro virus which appeared online with the email worm trait and began spreading through email on March 26, 1999. Unfortunately, thousands of computers were victimized within hours of its release. It is well remembered to this day as it turned out to be one of the most serious epidemics in the internet history. In order to get rid of a macro virus use an effective antivirus software like Comodo Free Antivirus for performing the virus removal without any trouble. Stay safe from macro virus attacks by warding off infected links, it is recommended to install the Comodo free antivirus software. 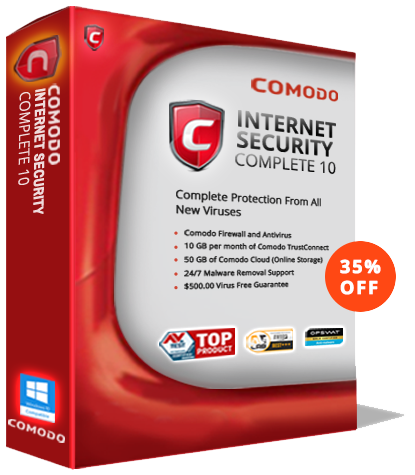 Download Comodo Free Antivirus today !